A compact two-element fractal MIMO antenna with dimension of 20 × 32 mm2 is proposed. A T-shaped reflecting stub is placed between two antenna elements to reduce mutual coupling, and hence to improve isolation. The ring resonator is used on backside antenna which increased the number of resonances. The reflection coefficient of antenna is found to be below −10 dB at 2.4 and 3.5–7.1 GHz. The mutual coupling between antenna element is found less than −10 dB. 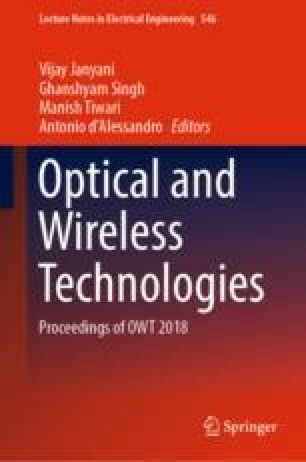 The performance of antenna is evaluated in terms of mutual coupling, radiation pattern, peak gain, directivity, and VSWR. The maximum combined gain of antenna is found to be 3.01 dB.